A national group of immigration lawyers studied federal data and found that legal immigrants are facing significantly longer wait times to process requests for visas, green cards and other documents. As President Donald Trump threatens to declare a national emergency to have his long-promised border wall constructed to stop illegal immigration, his administration has also erected an invisible barrier that’s hindering legal migration to this country, according to a national group of immigration lawyers. The American Immigration Lawyers Association released a study Wednesday showing that processing times for most visas and applications for citizenship by U.S. Citizenship and Immigration Services have reached record-high levels over the last two years. The study looked at data from the federal government’s 2014-18 fiscal years and found that the overall processing times for applications increased by 46 percent over the past two fiscal years. The authors acknowledged that a backlog of applications existed during the Obama administration and that processing times have increased for nearly all applications since 2014 — but they note that the 2017 and 2018 fiscal years saw bigger jumps. Average processing times for USCIS cases increased 23 percent from 2016-17 and 19 percent from 2017-18. The federal agency's data shows the number of delayed cases more than doubled to 2.3 million at the end of the 2017, the study found, despite only a 4 percent rise in the number of new cases received. “These delays are harming families, vulnerable populations and U.S. businesses that depend on timely adjudications,” Jason Boyd, the American Immigration Lawyers Association’s policy counsel, said during a conference call with reporters. The backlog affects applicants for some of the most popular visas, including those seeking to petition for a foreign relative to come to the country, applications for citizenship, applications for re-entry for refugees and humanitarian parole, and applications to apply for permanent lawful residence — also known as a green card. In an email, USCIS spokesman Michael Bars said several factors can affect an individual’s application, but longer wait times are a result of more applications. 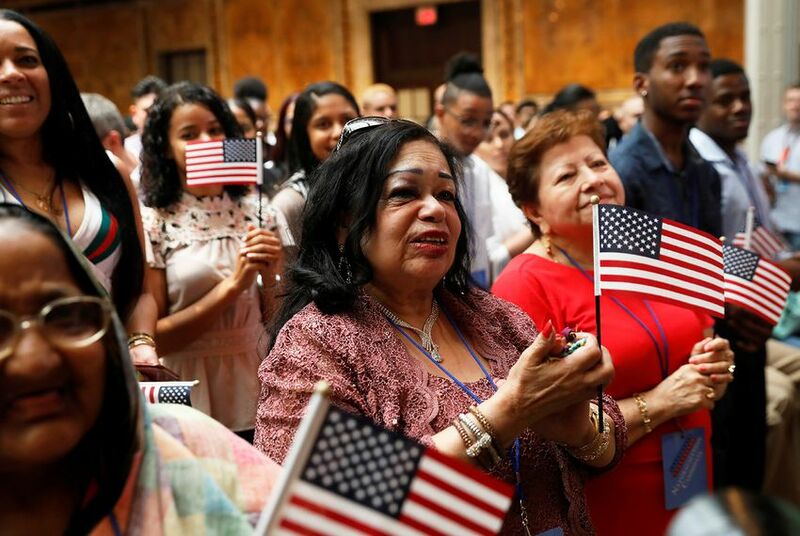 The report's authors point to key changes the Trump administration has made to the legal immigration system, such as requiring in-person interviews for an employment-based green card, as major contributors to the backlog. “[The policies] inhibit efficiency, and they act as, essentially, bricks in the Trump administration’s invisible wall against legal immigration,” said Jennifer Minear, an immigration attorney and AILA’s first vice president.